Smiling Sally is our second longest serving inmate, having been with us since 1989 – she’s older than she looks! She still has a passion for music, and when she’s not busy keeping the Jumbo accounts in order, or working for our friends at the Leaf Label, she still finds time to get to plenty of gigs. 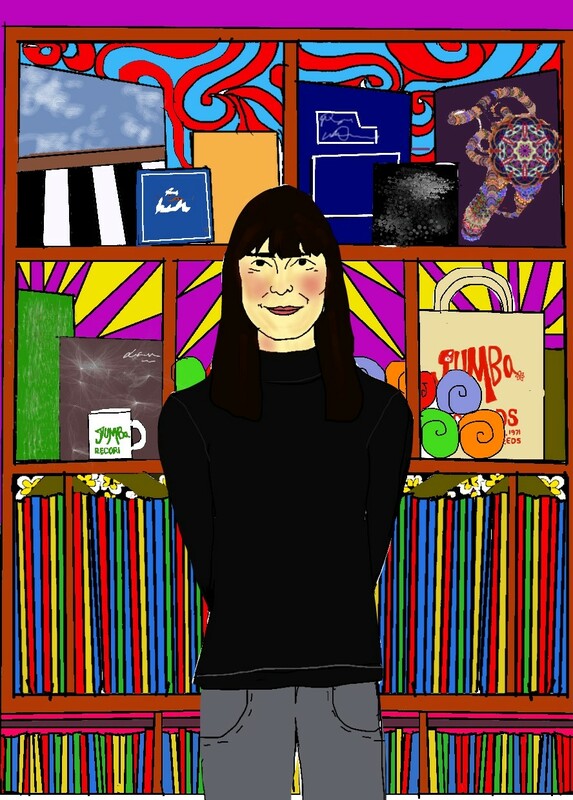 She grew up on a diet of Undertones and Banshees, and loves old faves The Nightingales, Shrug and Half Man Half Biscuit, as well as newer bands such as Crack Cloud and DUDS.